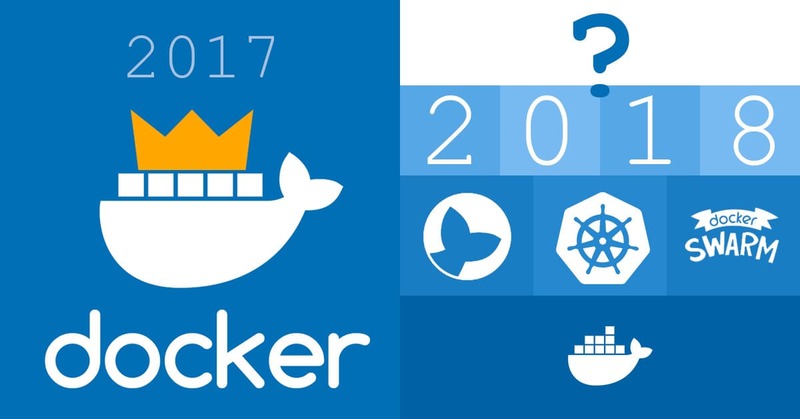 2017 for Docker: the king is dead, long live the king? Throughout 2017 Docker, Inc has made multiple questionable decisions, which may heavily impact the future of the company. What did 2017 bring for Docker? First released 2010, Docker is a great tool initially built on top of LXC library. Docker combined multiple Linux primitives into a powerful instrument that was essential for the rise of DevOps as we know it. Due to gaining significant support and going for open-source, the company gathered a passionate community that helps drive the development ever onward. The bad thing is, being one of Silicon Valley most favored startups that was bathing in money raising up to $250 million dollars through several rounds of VC funding, Docker, Inc followed the same behavioral lines as many of them. 1 mistake was trying to master the container management market through continuous promotion of Docker Swarm. Docker Swarm itself is not bad and may have better performance than Kubernetes at large scales, but Kubernetes has a stronger community, thus ensuring better reliability. Docker, Inc gave up in the end and implemented the out-of-the-box support for Kubernetes last November, the fact we have already covered in a post on our blog. The 2nd mistake was the way they handled the release of the Moby project. It is actually like a “Lego set” that provides all the components and tools needed to build container management platforms, with Docker built on top of them. The great thing is any company can build their custom platforms combining their bespoke components with readymade solutions like containerd and swarmkit, with Moby repo being a construction yard. The bad thing is, the message was badly communicated, the transition caused lots of negative impressions and the company image was somewhat marred as a result. Nevertheless, we are sure Moby is a great step forward, as it marks the transition from a monolith engine to a set of interchangeable components that communicate through API, the natural way of the evolvement of any software product nowadays. Don’t get us wrong, Docker as a product is still awesome, no doubt. Many decisions were great (like donating containerd to CNCF), while certain actions were somewhat controversial (like unannounced renaming the open-source Docker repo to Moby project repo on GitHub), which caused much stir and questioning in the community. Thus said, 2017 was a kind of harsh year for Docker. 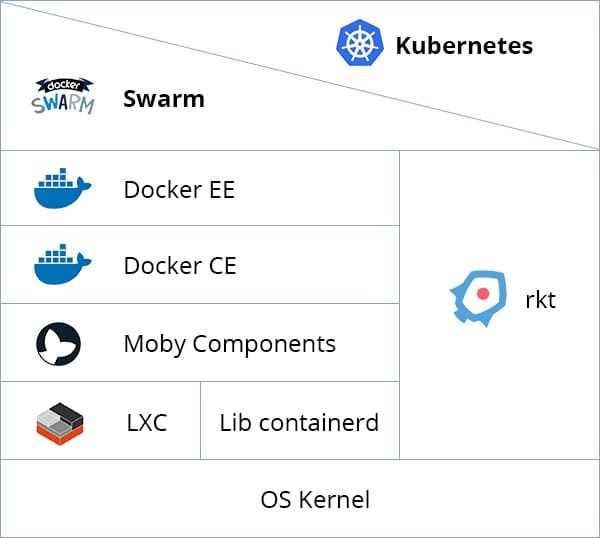 A monolithic engine, the containerization king was separated into a set of bricks beneath Kubernetes, Docker Swarm, Moby — or any other containerization platform. It is hard to say for sure what 2018 will bring as of now, yet we can be certain of one thing — it will be quite an interesting year to follow the affairs. Are Docker, Inc going to reorganize their structure? Will there be a merger or acquisition? Or are we witnessing a tiger before the leap and there are some awesome prospects for Docker, hidden right behind the corner? What are your thoughts on the matter? Please share them in the comments below!